Greetings once again friends! Its been a while since I posted something lovely here, and I feel well overdue. First and foremost, San Diego Comic Con kicks off tomorrow, which begins nearly a week of epic fandom and possibly some portfolio reviews! Who knows what awesomeness will happen? Wish me luck! In addition to a comic con update, I have a few WIP items to note. First of all, my webcomic series “Off the Clock” is well underway and will likely be online by August, ideally. For those who don’t know the premise, “Off the Clock” is a webcomic highlighting the life and times of two super hero room mates when they AREN’T fighting crime. Our two hero’s battle chores, manly things and life in their cover identities, all the while keeping us entertained. More to come later on that. 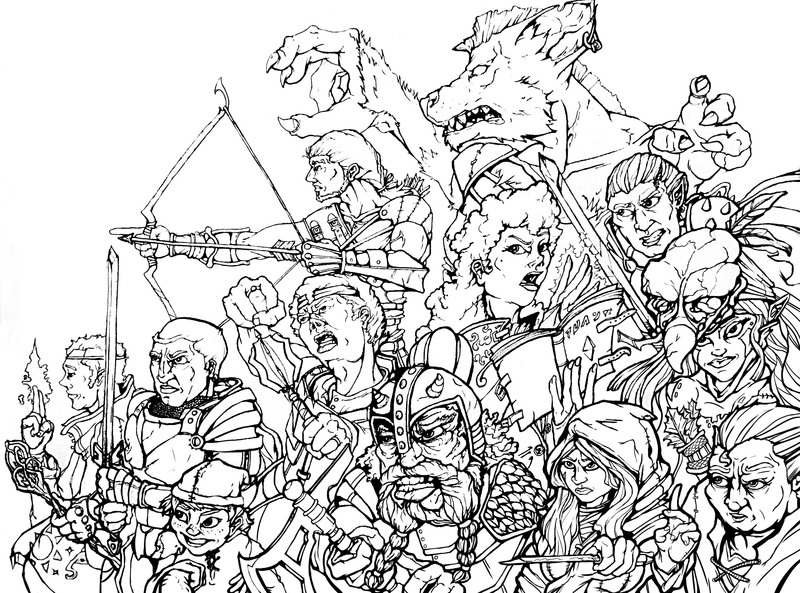 My other big project right now is a character mural I’m working on. To highlight the end of over 10 years playing the same campaign and cast of characters in Dungeons and Dragons, I have decided to paint the group in action.